Have you ever felt like you are confused, bored, and not motivated in a course? Or, have you ever felt like you really never learned anything, just memorized the information, took a test on it, and then forgot everything? Even, have you ever wished that instead of listening to your teacher, you just wanted to don those goggles and combine all those chemicals and liquids until you get what you want? A learner usually has these feelings in a classroom; she or he may experience an entire year of tremendous boredom during a class. 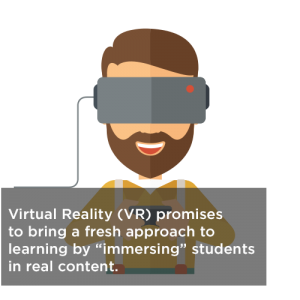 However, Virtual Reality (VR) promises to bring a fresh approach to learning by “immersing” students in real content. “Immerse” is the key word here because immersive experiences create memory and inspire action by appealing to all the senses. 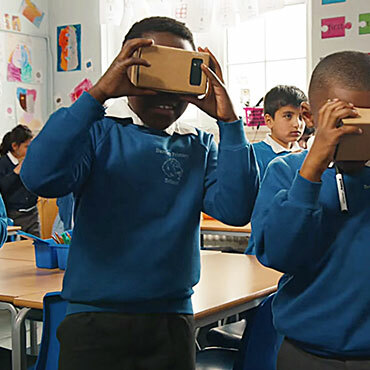 Because VR ignites all our senses, it provides interactive and “immersive” experiences that engage learners and creates a more powerful and lasting memory, which affects our learning. How do our emotions affect learning? The developments in cognitive sciences are unrevealing the mysteries of how and where our brain processes emotion and how emotion affects our learning deeply. Research demonstrates the importance of emotion in learning as emotion drives attention, which in turn drives learning and memory. Two main parts of our brain regulate our emotions: the limbic system and the cerebral cortex. Our limbic system plays an important role in regulating our emotions and processing our memory. Our limbic system is so strong that we are more inclined to follow our emotions than our rational thoughts. On the other hand, our cerebral cortex helps us make rational decisions based on the interpretation of sensory information. The main function of the cerebral cortex is to regulate our emotions and judgments. So what is the connection between our emotions and learning? Our emotional state affects our memory, and our memory is related to our learning. We recall our memories easily later on when these memories form during a specific emotional state. The chances are greater that you remember a rock climbing experience than you remember a lecture about rock climbing because you experience different emotions during the actual action. Research and our own experience as learners confirm that emotional reactions powerfully influence how much is learned. Our emotional state determines how much we will engage in and be willing to invest in your learning. Therefore, anybody who teaches and creates an educational program should not underestimate the power of emotions in our learning. How will VR affect the relationship between learning and emotions? VR can emotionally change and enhance learning, at least, in two ways: tricking the brain and enabling the social interaction. 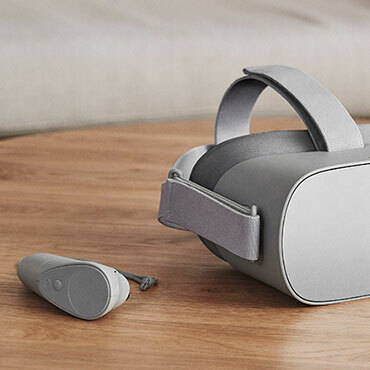 One of the VR promises is to replace and amplify real experiences with guided ones so that real world aspects can be replicated in a fully interactive fashion. 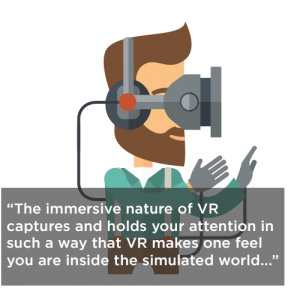 The immersive nature of VR captures and holds your attention in such a way that VR makes one feel you are inside the simulated world, even your brain perceives you are actually there; this perception ignites your limbic system and cortex. Once your limbic system and cortex are activated, one tends to remember information or experience when they are perceived in a context. In other words, our memories are contextual. Contextual memory helps us recall the information during closely related events in the real world or in a simulation. Once you are emotionally engaged, and your brain believes that you are there, it changes your mood and strengthens your memory. That’s exactly what VR brings to the table. 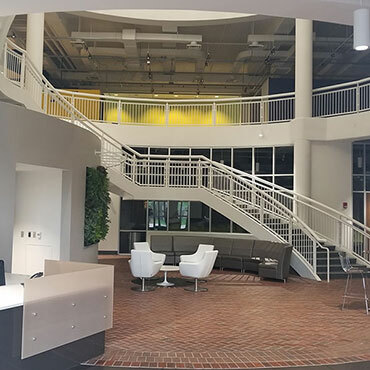 The other benefit of VR is to allow social interaction to enhance learning. You and your friends can interact in a virtual world, even, when you are geographically separated. Imagine this is as a teleportation to another place in a virtual world. 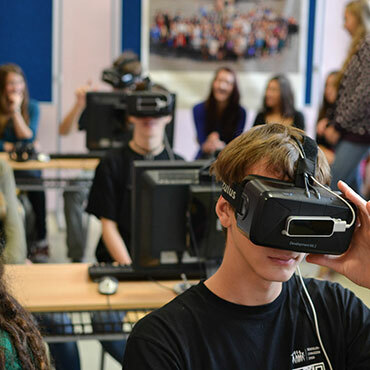 Using VR makes collaboration, problem-solving, or other group activities possible, which these methods are accepted as good instructional strategies. In conclusion, VR, as a medium, has the potential to improve and enhance our learning experience by regulating our emotions. I believed that VR might, actually will, change the world of education because it offers what learners need. I also expect to see virtual reality learning to be more effective and efficient than ever. But, what is next? How will VR truly affect learning? Eventually, we will see. …”this perception ignites your limbic system and cortex. ” Fascinating to know how our brains are directly stimulated from the use of VR applications.